Just a few possible alternatives for Co-op games. These are produced slightly smaller than the actual cards so you can print them out and stick them over the original cards and you wont be able to tell it has been modified by looking at the back if you are using clear sleeves. Info: Replace the "Feeding on the Dead" cards as it was too easy to get a Terror Point by just spending two Action Points. Info: Replace the "Ultimate Influence" card as it never seems to get used in Co-op. 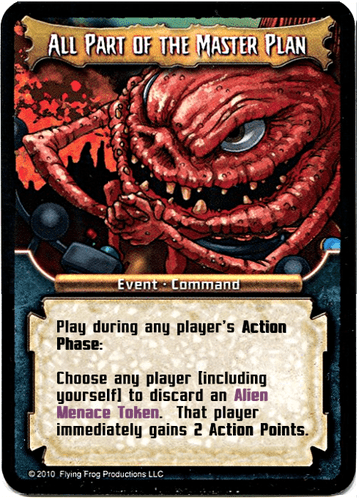 It pretty much gets automatically discarded during the Draw phase in the hope of getting a more powerful/useful card. 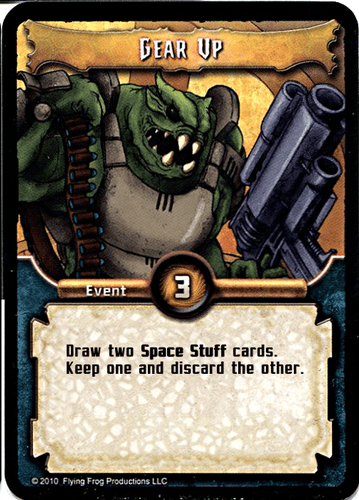 This version of Gear Up costs 3 AP to use but you draw 2 Space Stuff cards instead of 1, decide which one you want and discard the other. 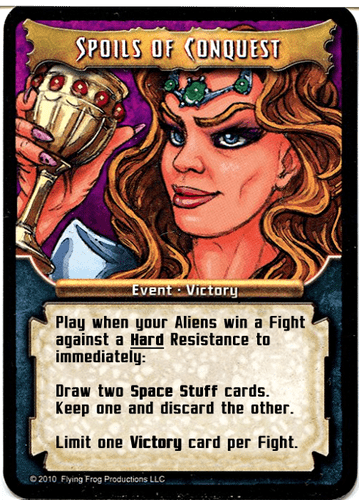 Info: Replace one copy of "A Taste of Victory" with this card as there are already many Alien Menace token producing cards. Another AP helper for the team but it costs a token to get an extra 2 AP. Info: Replace the "Military Base" cards. This updates them to be similar to the other military Locations. Probably good to also use the house rule of military Locations cannot be discarded and replaced by Abilities or Events etc. 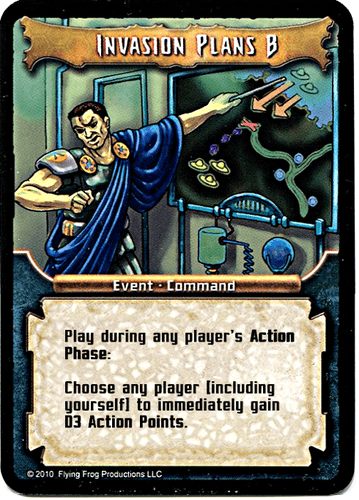 -Added "Invasion Plans B" Event card. 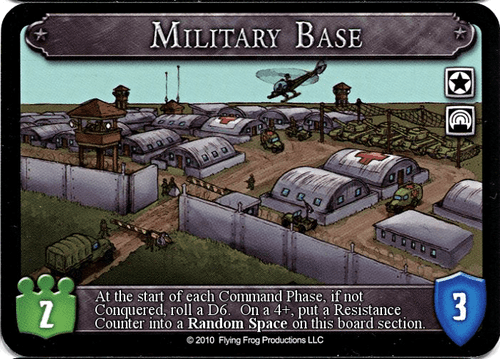 -Updated the "Military Base" Location card to have 2 Population, just like most of the other military Location cards. -Updated "Invasion Plans B" with simplified wording and a more reasonable effect. -Added an "All Part of the Master Plan" different version for variety and can be quite handy. Updated in first post and included in download link.